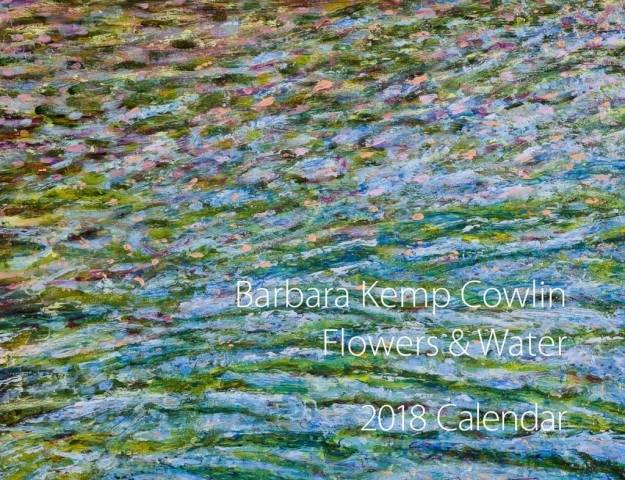 2018 Flowers and Water Calendar! 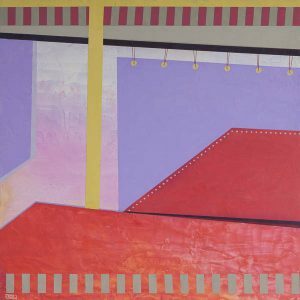 I’ve been doing a lot of experimenting this past year both with subject matter and with painting techniques. 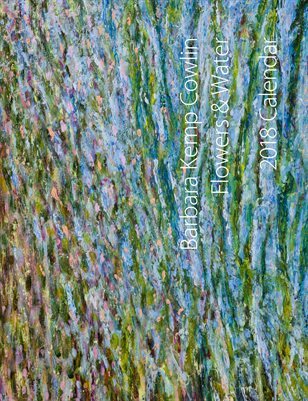 In addition to continuing to work on my Painting Water series, I’ve created additional paintings for the newer Bloom series of whimsical flower paintings. Instead of focusing on one or the other in the 2018 calendar I decided to combine them both—with months alternating between flowers & water. 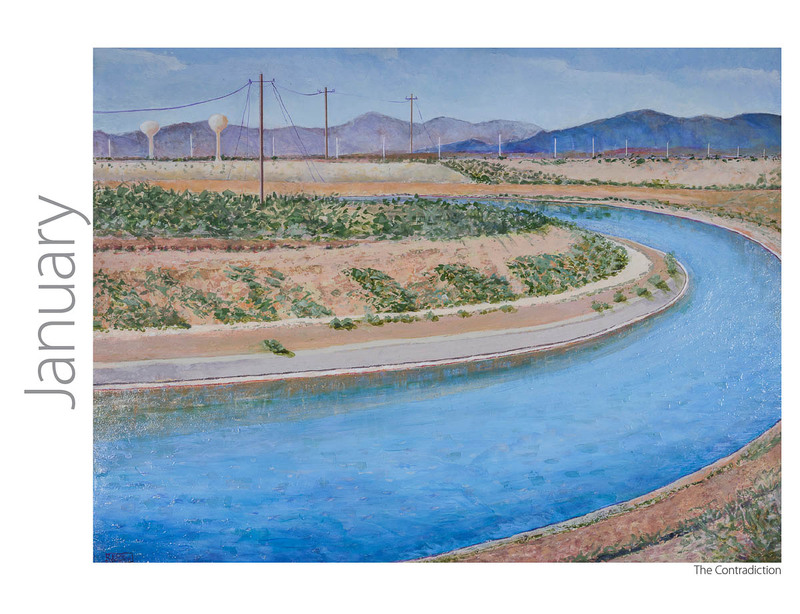 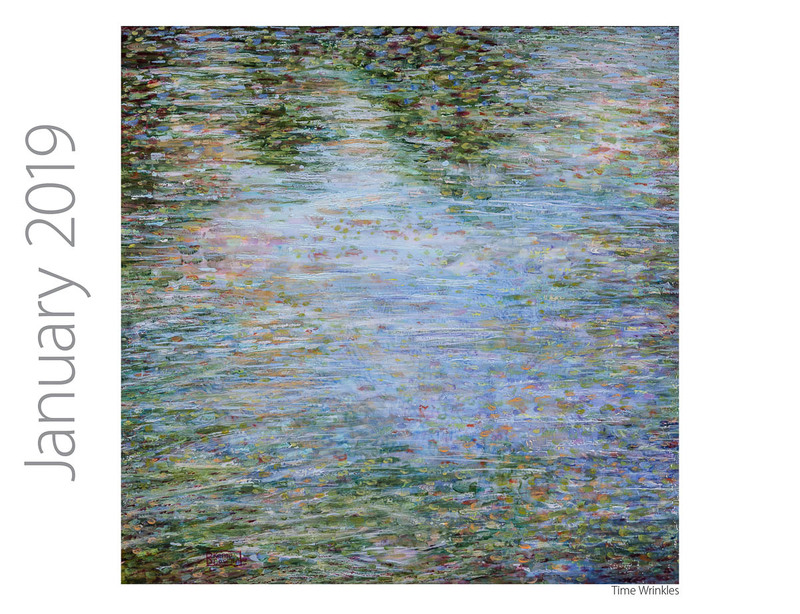 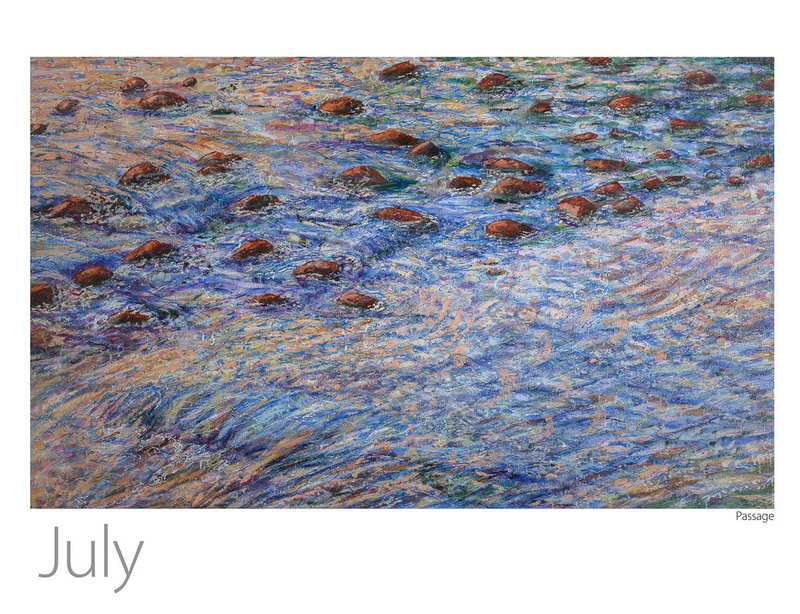 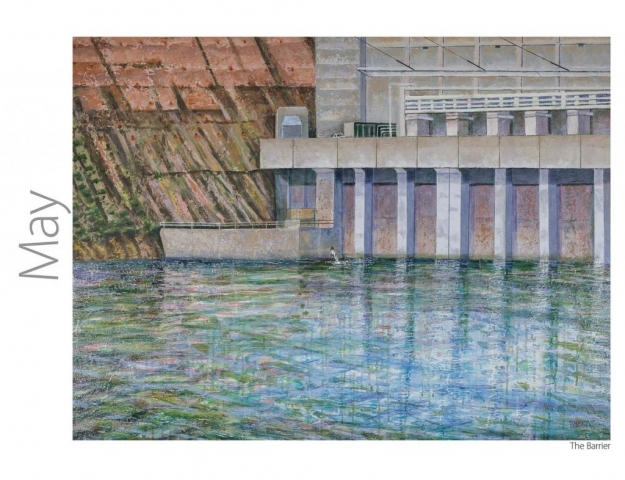 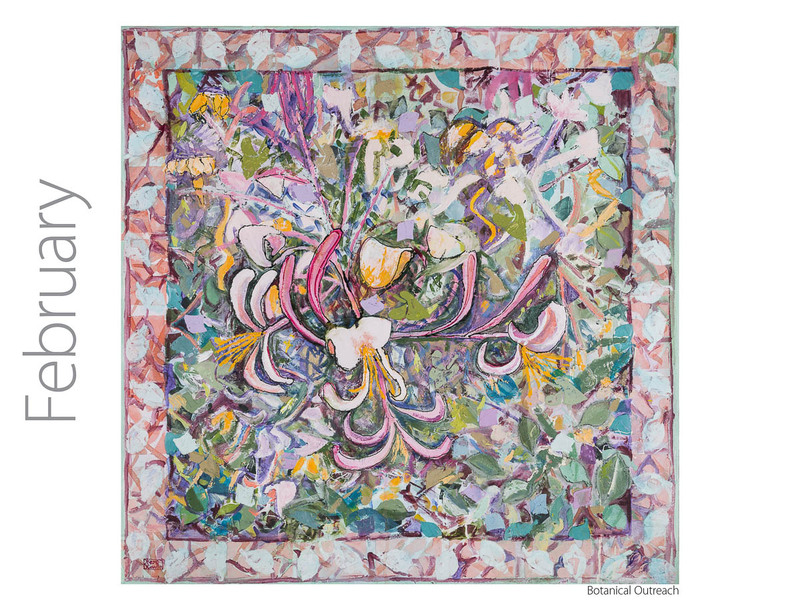 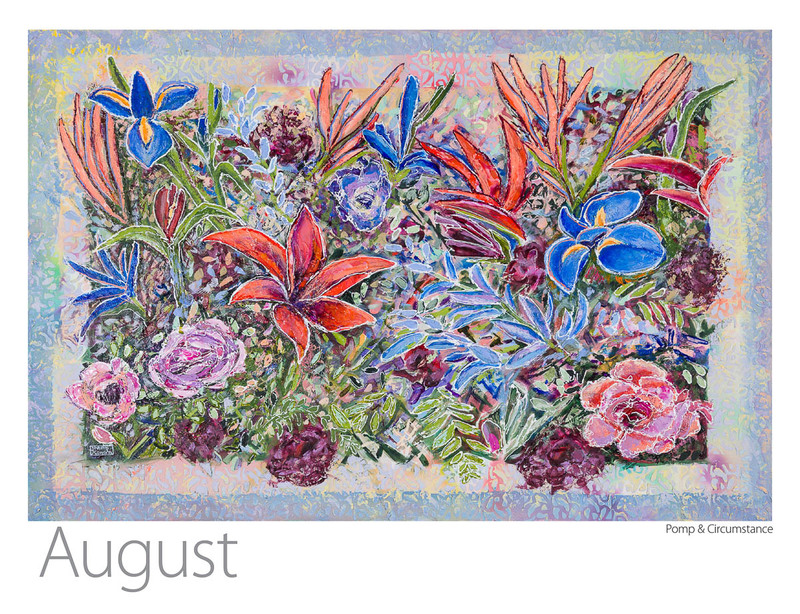 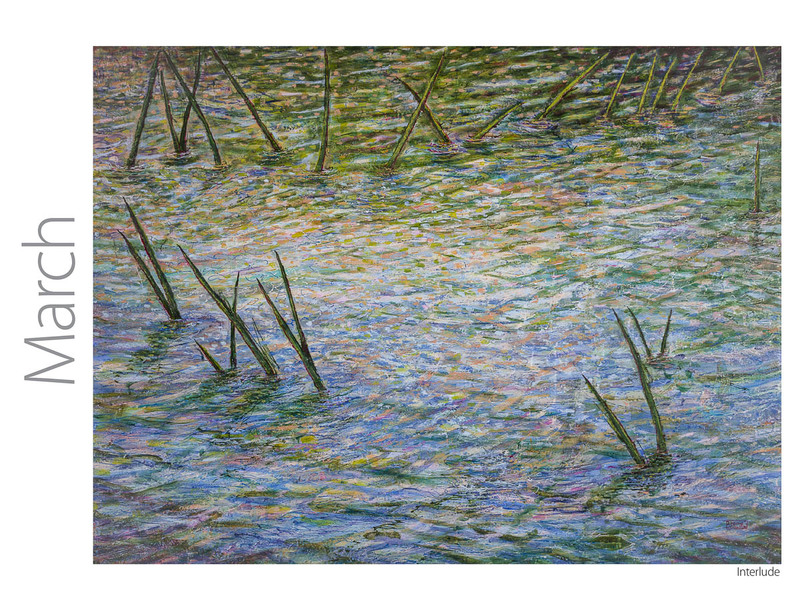 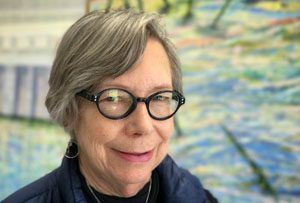 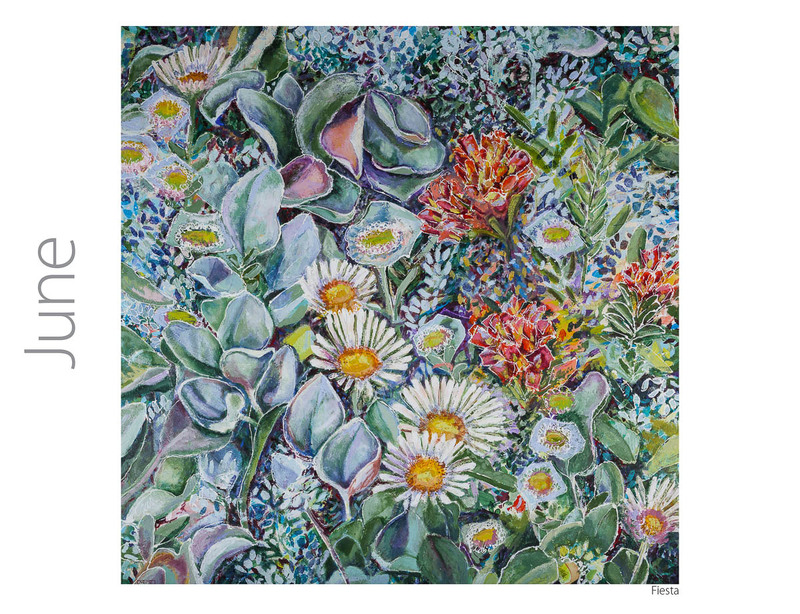 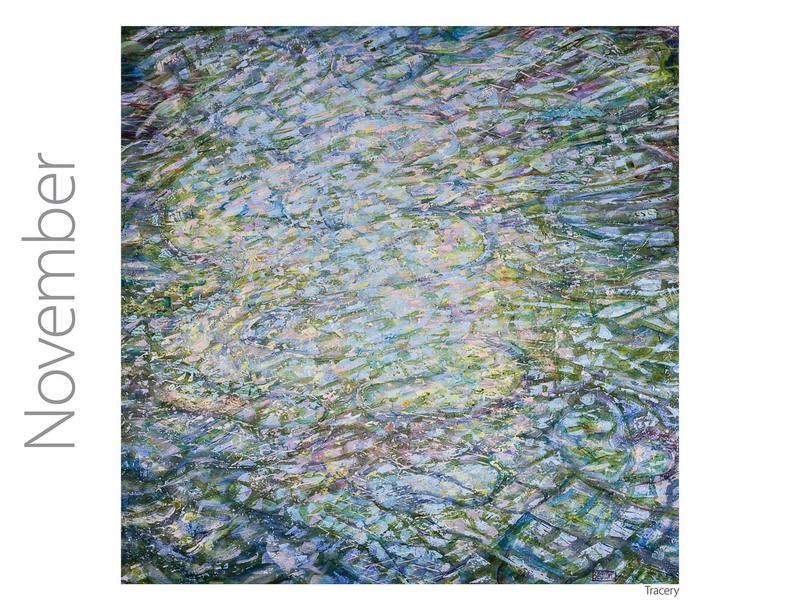 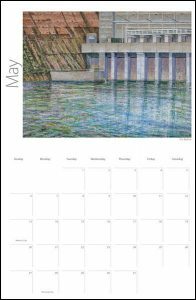 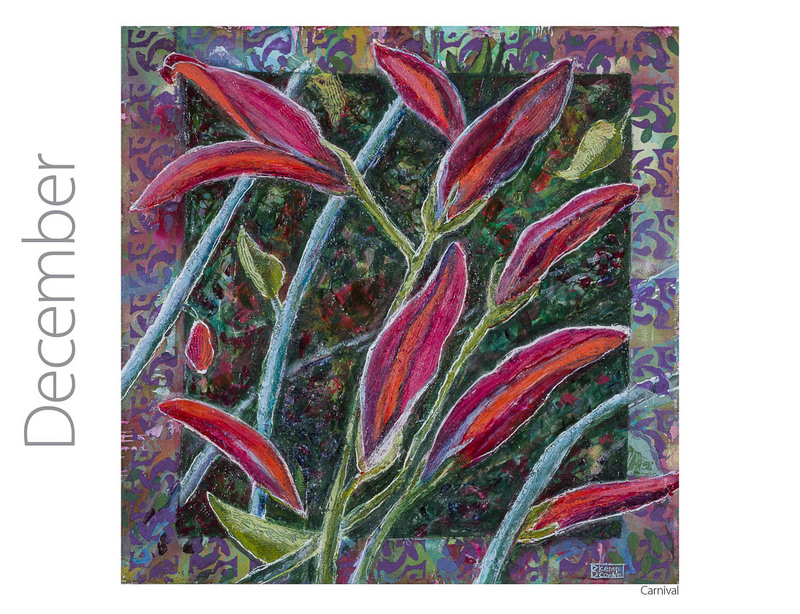 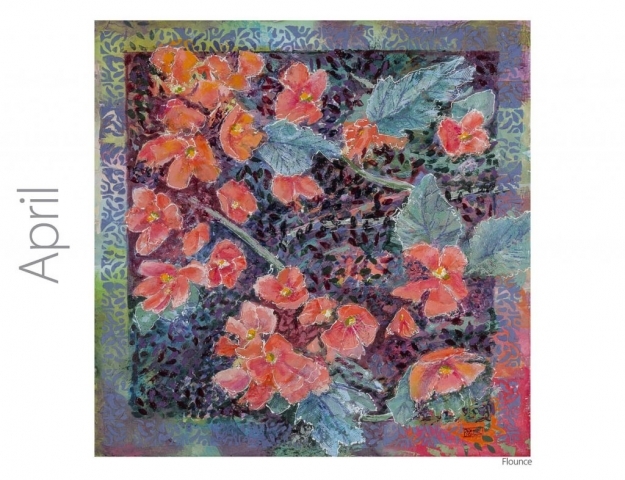 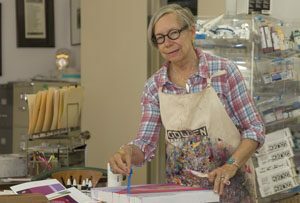 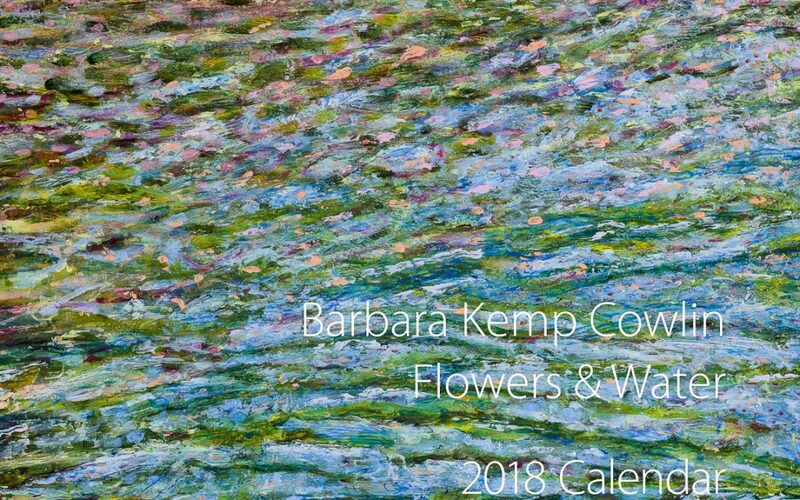 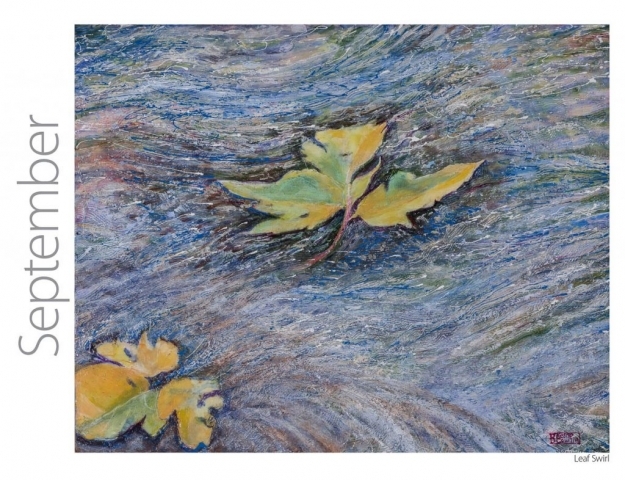 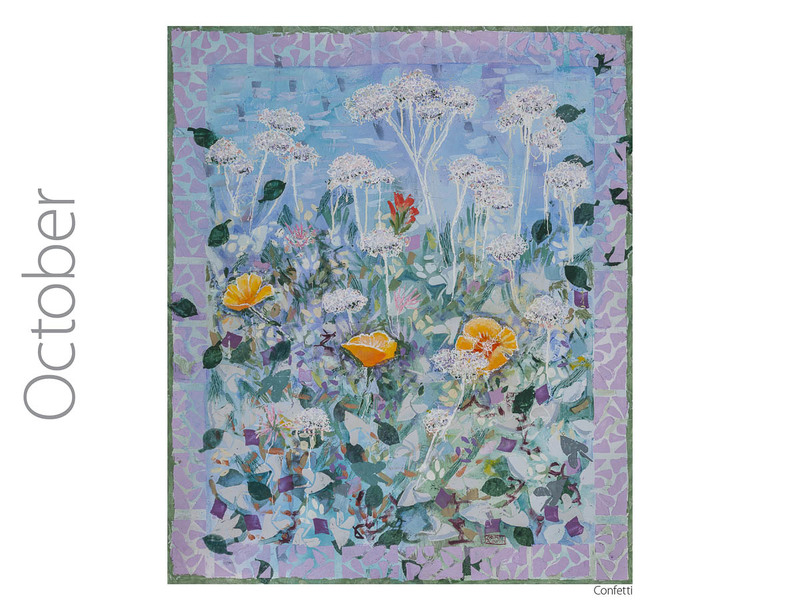 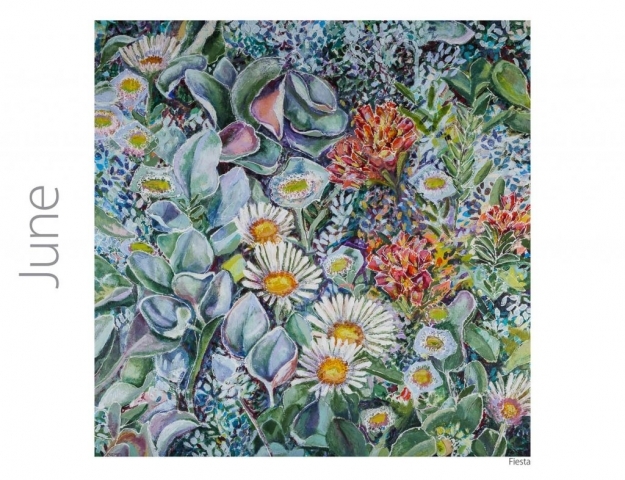 Flowers & Water 2018 calendar features paintings by Barbara Kemp Cowlin. Whimsical flower paintings with patterns and paintings of water in many moods.